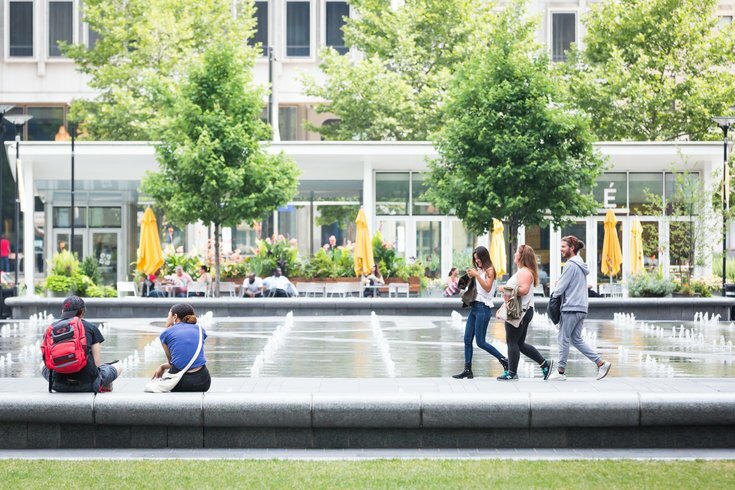 People walk through Dilworth Park on a summer morning. This weekend, there's a range of things to do, from attending a party at a mansion to checking out a new exhibit on haute couture. Use our roundup below of what's going on in Philly Oct. 19-21. Friday through Sunday, vendors selling all kinds of locally-made goods will be set up at Dilworth Park. Usually, vendors don't pop up outside of City Hall until the holiday season, when Christmas Village and the Made in Philadelphia Holiday Market open, so take advantage of this fall shopping event. This weekend also is Oktoberfest at Dilworth Park. When you need a break from browsing the stalls, check out the fall fest. On Friday night, Drink Philly is hosting a grown-up, Clue-themed party at Rittenhouse Square's Stotesbury Mansion. Guests can explore the historic home, while drinking fancy cocktails, and everyone is encouraged to dress up as characters from the board game. The new Witches & Wizards Festival will take place Saturday. For kids, there will be zombie dance parties, a costume parade, hay rides, "Mad Scientist" demonstrations, creepy crafts and an archery range. The Woodmere Art Museum will also have a straw maze and circus performances. The night before the festival, adults are invited to attend the Brews & Broomsticks Bar Crawl in the neighborhood. Through Monday night, Townsend on East Passyunk Avenue will offer a special menu that was recently served at the James Beard House in New York City. The four-course meal is $85 and includes cuisine from France, Italy and Spain. "Fabulous Fashion: From Dior's New Look to Now" just opened at the Philadelphia Museum of Art on Tuesday. Be one of the first to check out the new exhibit, which includes pieces from Vera Wang, Chanel and more famous designers.